So, if the fab five are singing, Rosenstein’s allegiances (black hat/white hat) would be a known quantity. He’s still employed, but then so are the five. Maybe there are The Grays. It would certainly explain the bizarre behavior of some segments of society. And aliens don’t need a warrant to get inside your head. If we don’t get election reform soon many aliens will vote in the mid-terms. Donzo – Rosenstein is doing his job. There is no downside for Pres Trump in anything Rosenstein is doing. There was no collusion. Pres Trump won the election fair and square. They Black Hats have shown they are capable of anything, even concocting phony evidence. It seems to me Mueller presents a danger as long as he continues this investigation. But if PDJT’s plan is to lead him on a wild goose chase, well, GAME ON! That’s the only scenario that fits. DJT knows that the worst thing to do would be to appear to obstruct “justice”, so the best option is to let Mueller dig himself deeper and deeper into a hole. The Dems and Liberals get totally obsessed with nailing Trump and completely ignore a) how disgusted ordinary people are growing with them and b) the jugganaut of the Big Ugly tearing towards them just in time for the mid-terms. If it makes moral equivalency between the two campaigns, that is a downside, imo. Are Americans that dumb? 37% in December! Huh! It’s because fake news has been telling them over and over that the rich got tax cuts and the middle class will pay for it. I can guarantee you that this “scientific poll” included those 51% who paid $0.00 in taxes! I would love to see (and never will) see a poll of 100% ONLY taxpayers and see what they think of their taxes being cut! Barron is leading the way this time. Usually his parents go first. He will be 12 in…April? Born March 20, 2006 according to Wiki. So yes, 12, but in March. Aries. Better than Taurus if you need to be witty and aggressive, when running for President, in his future. AND notice that our FLOTUS is flawlessly dressed: faultless black parka type jacket, slim pants, great hat, what looked like a pull-through fur scarf at the neck. AND notice that our POTUS walked as he always does, LIKE A BOSS. After the family was settled in The Beast, he made it his business to TURN ON the roof light so he could wave to the Trumpers who were waiting on the side (one can faintly hear them cheering). EVERY TIME that I see Air Force One or Marine One landed with our POTUS, FLOTUS, and family, I thank the Almighty God that there was a safe journey. It is so awesome to think that when our POTUS is within those aircraft, he is taking the UNITED STATES of AMERICA on the wings of eagles to do the work of WE, THE PEOPLE. Where is Lou Dobbs???? It has been 2 weeks now! I fear for his health. Me three. I was just doing some sleuthing, and he admitted on Twitter back in August (remember he was gone for a few weeks around that time?) that he was still not feeling well and apologized for not answering messages. Can’t imagine what else it could be other than his health, unless the FBN powers that be decided he need a few weeks off. I’m worried about Sweet Lou as well. He has looked different a few times on TV, can’t quite figure it out. Hope he’s in fine health. It’s been a lot more than two weeks, and I fear the same. Commenters on his Twitter account are all worried as well. As I have opined many times, Eastern Europe is the future of that continent. Two weeks ago my daughter needed an x-ray. The female X-ray technician had an Eastern European accent. My daughter really was impressed with the X-ray tech. Then yesterday I had to go to the emergency room for an x-ray. The female Eastern European x-ray tech was working! I asked her where she was originally from. She is from Bulgaria. We had an interesting conversation. She loves the U.S.A. and is worried about the marxist left taking over. I had to spend a year in England recently and the place is full of Poles, Czechs, Bulgarians And Russians. They are great people. Hard working, polite and well educated. Much nicer that the British in my opinion. And I was born there. I am Czech, but was born here. My grandparents immigrated to Houston, Texas, in the late 1800s. Wharton area? I am married to a Wasicek. She has a Melania type accent. Your daughter picked up on that. I worked with a man from Bulgaria for approx a year (a couple years ago, during 2016 campaign). VERY nice man, good man, Christian man. Had moved his family here for work, ended up around Chicago. We had some VERY interesting conversations, he was a VERY big fan of (at that time) candidate Trump. He felt – at that time (2015-16) that Donald Trump was the free world’s last hope. This Bulgarian man is not just good, nice, and Christian – he is also very wise. Stories on OANN today about how China is pushing the Silk Road and how profitable it is going to be for them. Australia, Japan and India are joining the USA because they are worried about the Silk Road. Because of the propaganda I am wondering how profitable the Silk Road really is. China is in serious debt. Their economy appears to be more like a Pyramid scam than a true economy because of the State sponsored businesses and loan scams. I think the Silk Road will be more about accumulating more economies like Hong Kong. I look at the GDP of Hong Kong and it appears that China is becomes a shipping port for China. Just like NAFTA. President Trump is displaying infinite patience with these shady hucksters. I hope Rudy is working hard on the USA workaround to Corporate theft and raiding of our economic systems and information. The Chinese need to be excluded from our innovation, communication and ideas. The Silk Road is their attempt to get around counterfeiting our inventions and property. Donna, I posted many times on the BRI leading up to the President’s trip to China and during and after the 19th Party Congress. I called it China’s neo-imperialist plan with Chinese characteristics. It is Chairman Xi’s signature initiative. It also is now getting major push back from Australia, the EU, second thoughts from ASEAN nations, bookend blocking by India and Japan and the US Indo-Pacific Policy, as well as internal second thoughts by Party/think tank types at home. (All sourced in my posts). China, when blocked moves elsewhere, courting South America and the Arctic as new ‘road’ or ‘belt’ branches. I will post this article for you that addresses your questions on the economic feasibility. It is not new, but holds up well in analysis. Absolutely nothing Hills.. Seriously … what is going on with YOU and Russia ? Do you see how evil this woman is? No, I mean REALLY see. If she is capable of setting up a foreign country as an enemy and at the same time suggesting that her opponent is praising this country’s enemy… she is capable of anything. Anything. The video is 54 minutes long. I don’t think so. 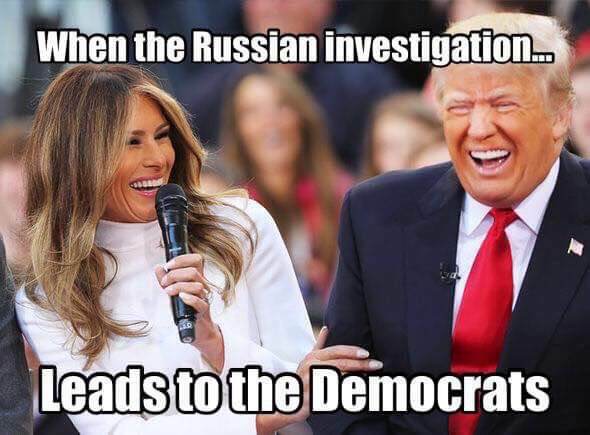 Trump and Russia are both laughing at our liberals. Trump already posted that. She’s still has too much power. She needs to be unplugged. 7) As for the FBI, I believe Wray is a good guy way in over his head. Remember, he was deliberately brought in from the outside. That's good and bad. He doesn't have much "institutional loyalty," even from the good guys who remain. 8) My view of the FBI has evolved from "mostly good agents with a few corrupt leaders" to "mostly corrupt, with a handful of impotent, and scared, agents who can't effect any change." Holder/Zero reformed the FBI… it’s mission is no longer law enforcement. Frankly it appears to me anyway to be an extension of the Sea Eye A… and their mission appears to me to be to spy on Americans, control the MSM, create false events, divide the populace – actually serve as the gatekeeper for the Deep State. There was some discussion of the Qanon phenomenon earlier in this thread. I monitor what is happening with Qanon. At a minimum, following Q makes you wonder what is really going on, and it is exciting to watch the Anons search for the truth. A year ago, I would have dismissed the entire phenomenon as a hoax. Two years ago, I would never have believed what I just wrote about the FBI. I have been awakened to the depths of the Deep State darkness. Just not yet sure how far down the bottom is. Also remember, Trump has known Wray for many years. He brought Wray into the FBI. How does Trump know Wray? Wray worked for Christie during Bridgegate, so presumably they know each other at least since 2015. Maybe this way; Wray may face questions, however, from Democrats looking for law enforcement independence because of his roles in public and private practice, including serving as the personal attorney to New Jersey Gov. Chris Christie — a close Trump ally —during the George Washington Bridge lane-closure scandal. The White House followed with a formal announcement that cited Wray’s work at the Justice Department during President George W. Bush’s administration from 2001 to 2005, including serving as head of the criminal division and overseeing actions in the war on terrorism after the 9/11 attacks. “I know that he will again serve his country as a fierce guardian of the law and model of integrity once the Senate confirms him,” Trump said. Wray has been on both sides of investigations touching the top political leaders. Along with representing Christie, he he led a task force at Justice that won convictions against officials form Enron, a Texas energy firm whose chief executive, Ken Lay, was Bush’s biggest contributor. Don’t they mean “Fake” ? 😱Wow? So why this fake story? Does the Secret Service put out updates and bulletins like this all the time or is this fairly new? I remember recently they clarified their part when April Ryan reporting that Omerosa was physically thrown out of the White House by secret service..
Has any Fake News covered what DNI Coates and DHSSec Neilsen are doing to protect the US from further election tampering? Fake News is breathlessly reporting lies, lies, and more lies. What has the Trump Administration been doing to protect the US from further election tampering? 12 Feb 2018, DHS announced that NBC News are liars. He-Who-Sees-Around-Corners (Pres Trump) has hired Those-Who-Also-See-Around-Corners. Has the Lying Fake News reported this? No. Of course not. Do not allow the lies to discourage or dissuade you. The truth is out there. Know the facts. Educate the lying know-nothings. Boy he looks like a little brat. Shipp is excellent. A good way to understand the reality of why the People have no control over the US government. Finally someone tells the truth. Another masterpiece from Victor Orban. Original translation by Crossware, editing by Gates of Vienna, subtitles by Vlad Tepes. You are going to love this lady. But the left will hate her – she makes too much sense. As a former teacher, I agree with everything she has written. What is the current thinking on Rosenstein? He signed a FISA application, appointed Mueller and is still DAG and acting AG regarding anything involving HRC. What the hell is going on here? There are a few, including Rosenstein, whose hat color has yet to be revealed, in my opinion. But I also don’t believe any of those folks are operating outside the watchful eye of the white hats. I suspect if they’re still-employed black hats, there’s a reason they’re being kept around. ‘Evening again, fellow Incorrigible Deplorables. 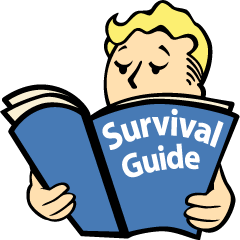 Those of you who spend much time at CTH must have noticed the considerable amount of noobs here, or perhaps are yourself a noob. The noobs do not yet quite understand how Our President operates, and perhaps spend too much time obsessing over Lying Fake News, and the hard run-up to reality. In an effort to reassure the noobs, perhaps a 17 Nov 2015/01 May 2016 CTH post will help. Well worth the time for a re-read. how ’bout a refresher laugh? It is boring news today. Thank God. I’ll check the video out. Thanks. Government must need a lot of money. I have noticed that their ready cash is getting smaller and with the large budget increase, they will need more ready cash going forward. ==> They will sell $256 Billion in bills (1-12 month) and notes (2-7 yr) this week. Massive. Treasury supply will kick off this week on Tuesday with $151 billion worth of bills including record amounts of three-month and six-month T-bills. That’s just the beginning, and the rest of the debt sales will be spread over the holiday-shortened week with $28 billion of two-year fixed rate notes on Tuesday; $35 billion in five-year debt on Wednesday and $29 billion in seven-year notes on Thursday. The Treasury also plans to add $15 billion to an older two-year floating-rate issue. In total, over a quarter trillion in new debt will be sold over the next 4 days: an all time weekly high. If the Treasury and Fed know what is good for them they will take stocks down this week to increase the flight to safety to buy bonds stronger. They used to do that in the past but have not recently. But with money flows getting tighter it is becoming more a choice – save stocks? or save bonds? But you cannot save them both at the same time. I agree. The debt market is way more important than the stock market. If the bond market were to collapse it would take the dollar with it. And is we are forced to raid interest rates we would find it harder and harder to service our debt. “SECRETARY TILLERSON: Well, I hope with this little bit of exchange we’ve had, you understand the man better. That’s why I’m still here. Those things don’t bother me. I’m here to serve my country. I committed to this President. My word is my bond. I ride for this brand. That’s why I’m here, and nothing anybody else says is going to change that. Great interview! I love T-Rex! Sounds just like a Texan. Maybe even a cowboy in the wild wild west. Margaret Brennan. She is the one who has the history of ME studies and is married to the moslem Marine who wrote a controversial article for the University of Miami. PS Yakub means Nation of Islam. Yado uses his other name, Ali Iyad. interchangeably. I still can’t get my head around those Mueller “indictments” on Friday. Do Brennan and whoever else Mueller is in cahoots with really believe the American pubic is so stupid that they are going to bite on that? It seems such a shallow and transparent ploy that I wonder what it really going on. Was it enought that they managed to dominate the MSM news cycle for a weekend? It seems there is less and less value in that. There is now more reason to believe than ever before that we are seeing the Obama-Hillary house of cards coming down. I sure am excited to see what is revealed with the cards out of the way. Social justice warriors are nothing new and have never been anything but evil. No, Mr. President, NO, NO, NO!!! He did the same thing with Paul Ryan and John McCain. I don’t know why he does it but I’m he has his reasons. I suspect that he thinks that they are going to win anyway so why not try to win them over. If the candidate is a shoe-in, I think Pres doesn’t want to be on record picking a loser. Plus, it probably bothers the p*ss out of the candidate to be publicly endorsed by someone they hate. And the Pres knows this – and thats why he does it! Romney knows if he goes full never Trump retard he will be marginalized. He’s a snake, but not a stupid one. Now that is a broken puppy right there. exactly, never Trumper #1 or never Trumper #2 is the case in Utah. heavy sigh! PDJT’s support for Romney is strategic. Romney’s name recognition, $$, and support from the Mormon community makes his election a sure thing at a time when the GOP needs to be focused on taking seats from vulnerable red-state democrats and getting to a 60 seat majority in the Senate. Trump is a pragmatist above all else. MAGA needs a GOP super-majority in the US Senate. Trump won’t care how he gets it as long as he can get it and sideline Cryin’ Chuckles and his clown car posse for a few years. I agree with this. Ultimately the president belongs neither party. He starts at what he wants to accomplish and works backwards. If that means embracing ” the enemy of my enemy(dimms & media) the so be it. Yeah – but Romney will likely take over where McCain leaves off – promoting TPP, Amnesty and all the Chamber of Commerce agenda. As I’ve said for many months, Mueller is a dirty cop, 12 years atop the FBI, and you see what we have now. It didn’t start with Comey. Mueller was on the wrong side of every big case. He’s basically a crooked lawyer for the crooks. Comey, Mueller, Lynch and HSBC. A foursome. Mueller's failure to come up with anything new is a sign he's got nothing, is grasping at straws. Manafort indictment was recycled old news via Simpson. Russian trolling indictment regurgitated gruel from 2014. Mueller even had to retool Flynn's old exoneration into a crime! More oddities: Mueller signed the Russian trolls indictment, yet he didn't announce his own findings — he sent Rosenstein to the podium to talk about it instead. Why? And why did he release the indictment on a Friday? Was he ashamed of it? Curiouser and curiouser. I think an indicator that something might be happening is the silence of Evelyn Farcas. I know, a small fry, but she is the only one of the 10-12, 2nd/3rd tier folks who ever talked. And talk she did. Very enthusiastically and quite proud of herself. I would think she would really want to get back out and toot her horn again. “See, it’s working.” The fact she doesn’t, I think means she has been silenced for a reason. And if she has been silenced, so have others. They are all lawyered up. Had a wonderful time in Jacksonville Florida for the @DiamondandSilk Chit Chat Tour. We enjoyed all of our wonderful fans. Sure is a lot of racist white folk there. Rex is back under another name! I suggest you read the Federalist article… very, very interesting. Gov Scott – Stop being a hypocrite about Wray and FBI. Perhaps you should start in your own back yard, such as the 39 calls to the local police, and the welfare agency who said the boy was not a problem and how was he able to hide his intent from the people he was living with. When you finish that, then come talk to us about the FBI.